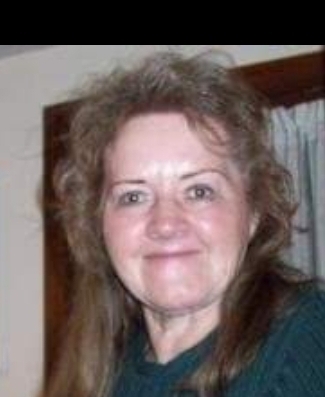 Shirley Ann Miller, age 79, of Saint Paris, Ohio passed away at 12:50 P.M. on Saturday, June 30, 2018 in SpringMead Health, Tipp City. Born on May 8, 1939, in Saint Paris, Ohio, Shirley was the daughter of the late Carl Willard and Mildred Nora (Runkle) Ramby. She was also preceded in death by her step-mother, Mary Ellen Ramby, and a brother, Carl Willard Ramby, Jr. Shirley is survived by her husband, Ray Emerson Miller, of Saint Paris, and a daughter, Carol Ann Travis (Nathaniel Davenport), of Troy. She was a loving grandmother to six grandchildren. Lori Travis (Dorsha Morgan) of Piqua, OH, Freddy Travis (Jennie Morris) of Englewood, Ohio, Danny Travis, Troy, Josh Travis (Gary Simpson) of Dayton, OH, Ashley Travis, of Troy, Nathaniel Davenport, II of Troy, and nine great grandchildren. Shirley was a salesclerk at the Sunoco Gas Station in St. Paris for twenty years, and she was a caregiver for many. Shirley spread her love throughout her family with holiday get togethers, playing the piano and cooking with the grandkids. She loved nature and would like to be remembered as a humble servant of God. Funeral services will be held on Thursday, July 5, 2018 at 1:00 p.m. in the Atkins-Shively Funeral Home, 216 S. Springfield Street, Saint Paris, Ohio. Visitation for family and friends will be held from 11:00 a.m. until the time of the service on Thursday. In lieu of flowers the family asks for donations to the Cross Roads Hospice Charitable Foundation, 10810 East 45th St., Suite 300, Tulsa, OK 74146, or to Bruckner Nature Center, 5995 Horseshoe Bend Road, Troy, Ohio 45373. Condolences to the family may be sent to www.shivelyfuneralhomes.com.